I am always looking for simple and inexpensive ways to organize my desk supplies that are currently a bit out of control! I wanted to find a way to organize my office supplies with items I already had at home, or items that were very inexpensive! And I came up with the perfect DIY Office Desk Top Organization! And the best news is that each piece cost me less then $1 to make! Seriously! I already had the can of peaches that I had planned on opening and using, but I grabbed the olive cans at the store. 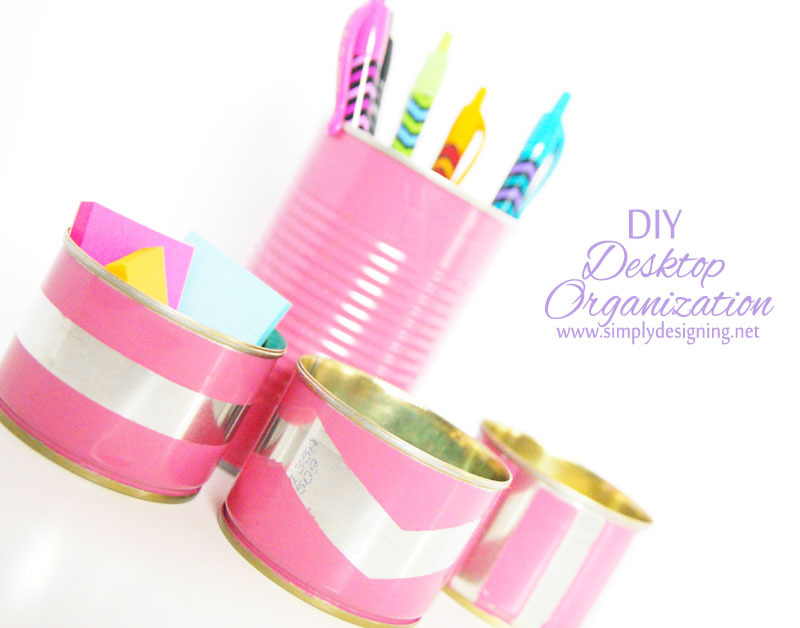 These cans are the perfect size for items like paper clips, rubber bands or post-it notes! So see what cans you already have in your pantry, or shop for the perfect size cans at the store. Either way, this should not cost you more then 50 cents – $1 per can! You will simply use your smooth edge can opener to open all the cans. This is non-negotiable. If you use a normal can opener, your edges will be sharp and you will risk getting hurt while reaching in for a paper clip! So please please please use a smooth edge can opener! Use or discard the food inside of the cans (I HATE wasting food, but I do not eat olives…ew! The peaches were eaten!) Then wash the cans out well. Use painters tape to tape off any edges or designs you may want to create. 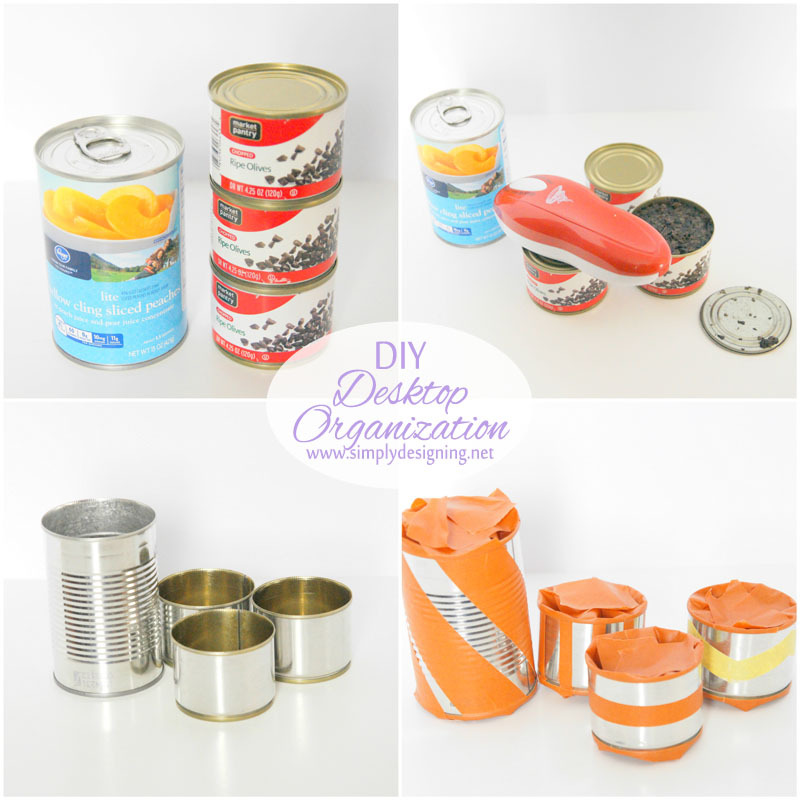 Then spray paint the cans and enjoy your newly created $1 (or less) Desktop Accessories!! 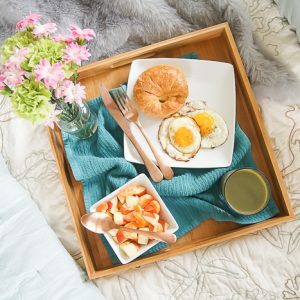 These took only a few minutes to make and are so inexpensive! They are a perfect desktop solution for containing your pens and paperclips! But they would also be perfect for bathroom storage like bobby pins and hair clips! The options are truly endless! And what a great way to reuse cans that would normally be thrown away! And a perfect way to start #springcleaning this year! Homemade Dishwasher Detergent that Works! I did the same thing recently, but used turquoise tape to make stripes around the can, painted it with craft paint, and used stickers to decorate it too. 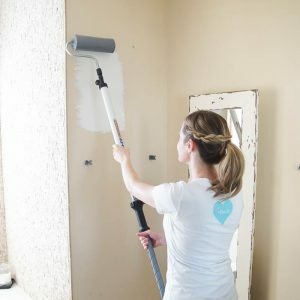 Fun little project, and the price is RIGHT! I bet those turned out so cute! Thanks for stopping by Kathy! Love these! 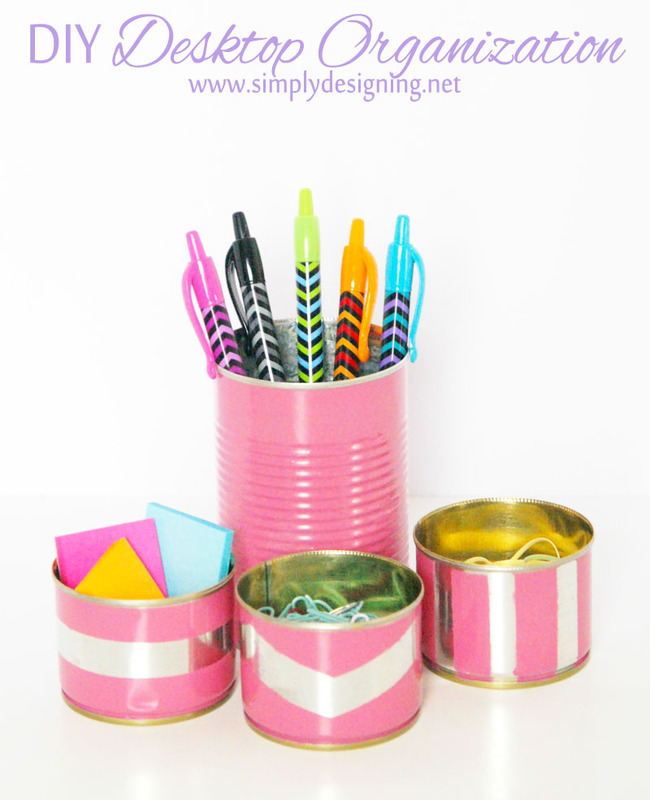 You could use Washi tape too for the stripes or any design. 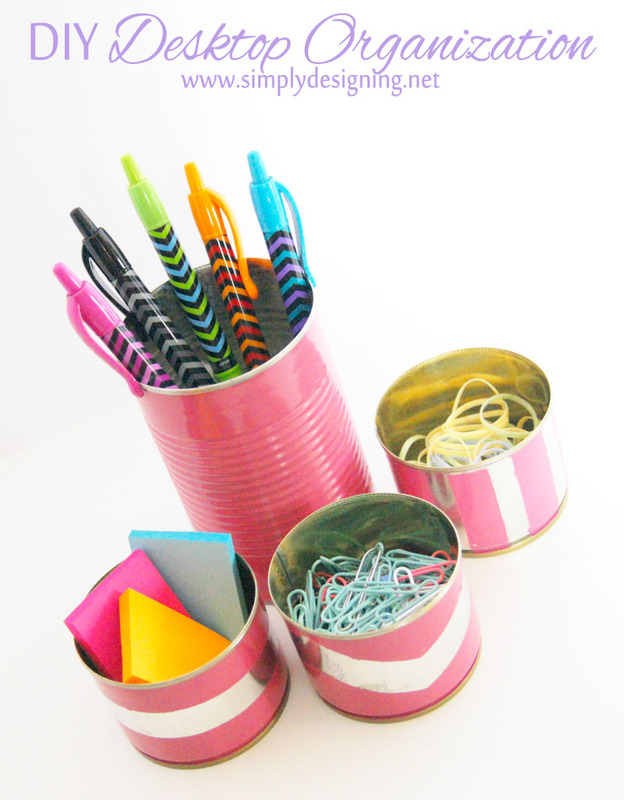 For the paper clips, you could line the inside of the can with a magnetic strip. An old refrigerator magnet cut to size might work – like the kind they give out for promotions in the shape of business cards. What great ideas! Thanks for stopping by to share!